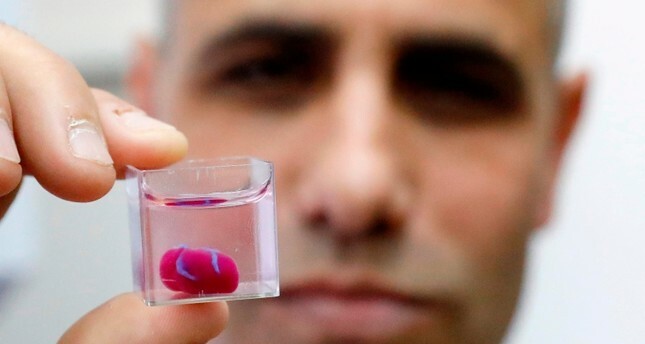 The heart, about the size of a rabbit's, marked "the first time anyone anywhere has successfully engineered and printed an entire heart replete with cells, blood vessels, ventricles and chambers," said Tal Dvir, who led the project. Until now, the Tel Aviv University said, scientists have been successful in printing only simple tissue without blood vessels. The printing process for the tiny heart took about three hours, journalists who were able to watch the entire process said.